The dog days of Summer are here. It is much too hot and miserable to be outside. Good thing we’ve got some gaming events in the cool A/C for you. Who knows, you may even win some prizes. Covenant Tulsa is kicking off the Star Wars: X-Wing 2017 Fall League with a twist. 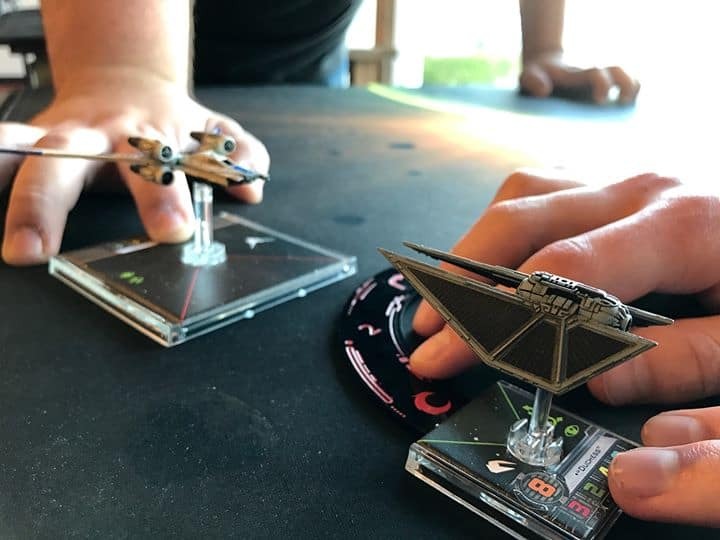 This event will follow all standard, 100-point X-Wing tournament rules with one exception: Your list must include both a pilot and an upgrade from the most recently released wave of Star Wars: X-Wing. Tournament format is Swiss and new players are welcome. Learn more. Immersion House is hosting its second Project CARS VR racing tournament on Saturday, March 4. The entry fee is $20. It’s double elimination, so you are guaranteed at least two head-to-head races. The winner of the upper bracket will receive a $50 Immersion House gift card. Stop by today and reserve your position on the grid at Sooner Mall in Norman. Immersion House is hosting its inaugural Project CARS VR racing tournament on Saturday, February 4. The entry fee is $20. It’s double elimination, so you are guaranteed at least two head-to-head races. The winner of the upper bracket will receive a $50 Immersion House gift card. Stop by today and reserve your position on the grid.